Ben Moller, marketing director of the Cabin, said the British rocker made progress during his three weeks at the 12,000 dollars-a-month (£7,600) recovery resort and that his departure was amicable. But he said Doherty did not lose his desire to use drugs so it was better for everyone for him to leave the centre, outside the northern city of Chiang Mai. 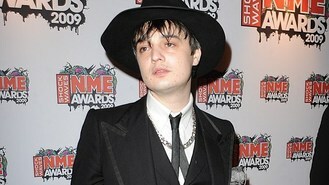 Doherty, who has fronted the bands Babyshambles and the Libertines, has struggled for years with drug abuse. He has visited Thailand before, taking a beach holiday in Phuket during the 2006-2007 New Year's holiday with his then-girlfriend, model Kate Moss.